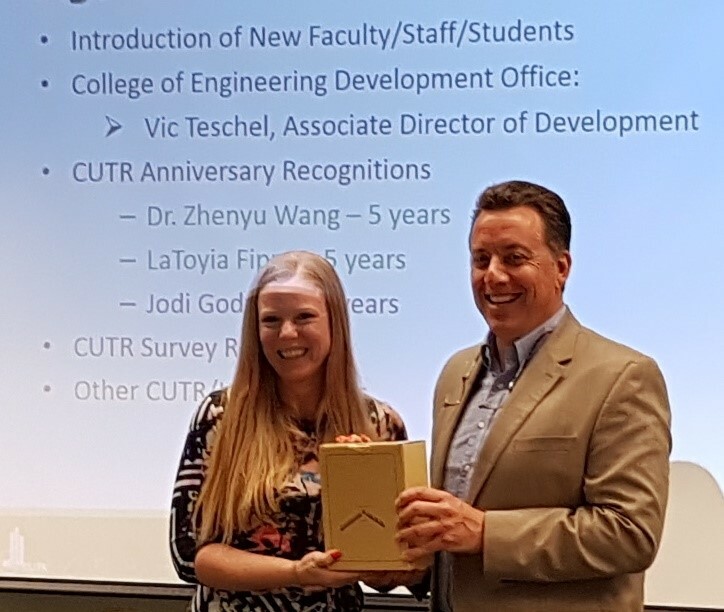 Congratulations to Jodi Godfrey on her five years at CUTR! She started working as a student for Dr. Steve Polzin’s team, Mobility Policy Research and upon graduation with her M.S. in Civil Engineering, she was hired as a Research Associate to work for his team and Lisa Staes’ team, Transit Safety and Workforce Development programs. Her specialties are transportation engineering, transportation safety, transit safety, transportation policy and planning. Congratulations to Jodi Godfrey on her five years at CUTR!